Like most music, the first thing that impressed me was the incredible detail payed to the packaging (blue glitter shell in a poly clear case). The album started with a speech read over what seemed like Beach Boys songs being played backwards. These are both good precedence’s for Seattle’s Basement Surfers brand of slightly progressive power pop. Some really cool guitar and keyboard tones float around the many, many parts of their songs! 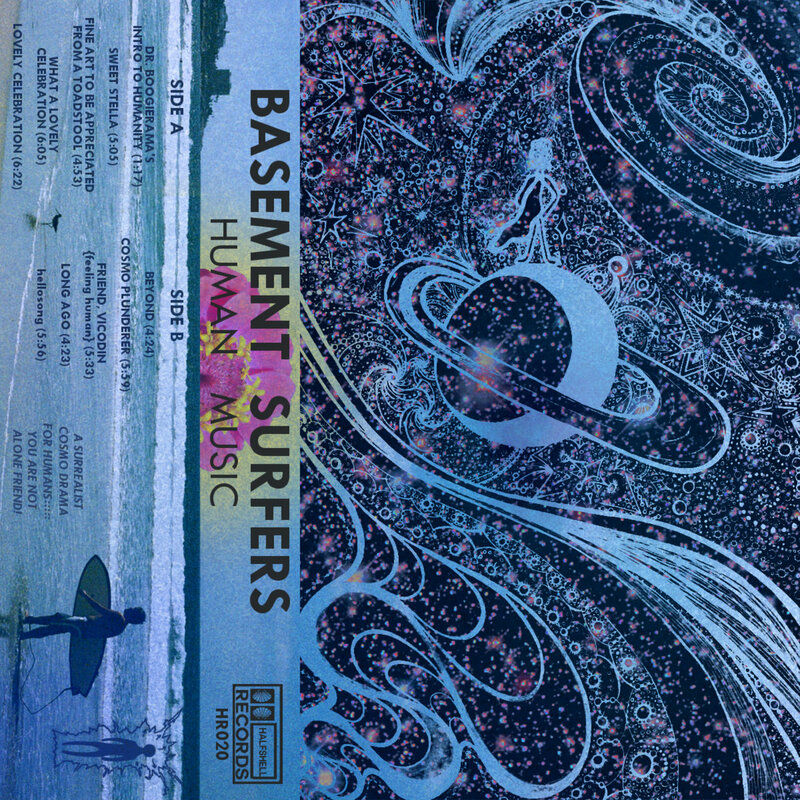 The first song made me curious about whether or not they surfed (like the ocean). The drumming is pretty nasty and the song structures and arrangement are dense and fascinating. Even a space rock jam breaks out now and then!! Part way through the side is a sweet synth jam (has to be my fave overall). 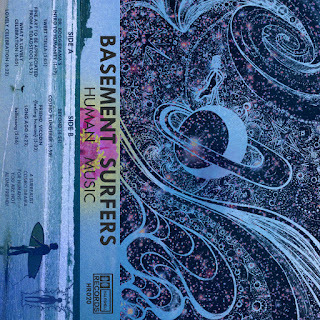 Throughout surf rock pastiches appear and fade. This tape really went off into a jam/guitar soundscape section towards the end of side a!! Side b starts with a well-deserved series of catchy, seemingly more pop, oriented guitar rock songs. Side B has a flow to it, almost like a medley. The vocals are subdued and fine. I imagine the band likes Yes a bit, maybe too? Sadly SOLD OUT but check it out on bandcamp!! !